Great income and congrats on your new record! Currently I'm really heavy enbridge since I loaded up the last dip. Keep it up. ENB rocks and I might load up again too. Thanks CPI! Good job on the record. Got some good companies paying you. Always good to have record months. Keep it up. 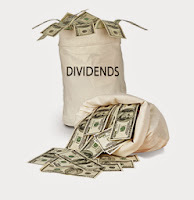 Great to see you keep on adding shares to grow your passive income. Great job ! Little ones add over time to a big one ! Wow congrats on the new high! I hit one myself in June it's always fun to celebrate others success at the same time.